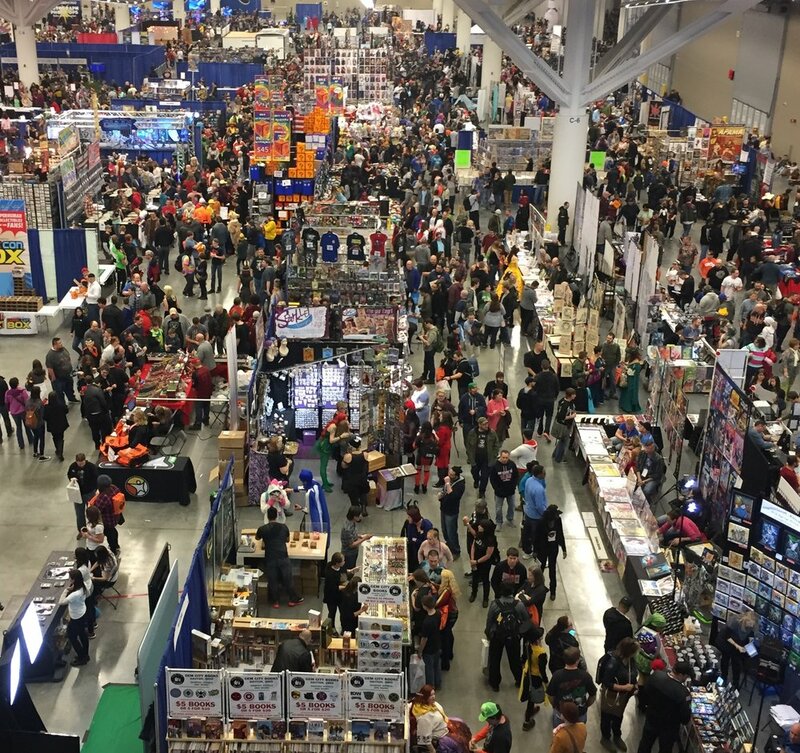 The 2nd annual North East Ohio Comic Con, or NEO Comic Con2.0, was held in tight quarters this year. It was sort of a last minute event for the child and I to attend, and was the winner of a toss up between the Pittsburgh Comic convention and this one. I am fairly certain that I chose wisely by attending this gathering of cos-players, collectors, and fans of all things awesome. There were no huge names to be found at this event making you fork out tons of cash to let you stand "near" them and get a picture and pay a little extra for a signed head-shot. This was a one-on-one with creators, writers, artists, and vendors, who were all there for the love of what started as just some cartoons on some news print. This event really felt "family" and very relaxed compared to some of the other larger events that have occurred around the Cleveland area in years past. I am already excited for next years event, it is already being promoted to be at an even larger venue. With the extra space people will be able to move a little bit more and the organizers will be able to bring in more vendors and different types of other cool things. I am not an avid collector of comics nor am I super engrossed in that world. I enjoy all the movies that come out and some of the current television programs based upon comics. I collected a bunch of Transformers comics in the mid to late 80's and other assorted ones that I thought looked cool. I din't know artists and writers, all I cared about was how the stories made me feel. It is amazing to see how much the industry has grown in 30 some years, absolutely amazing! We live in a comic culture right now, all the popular, mass grossing, movies are all based on some sci-fi/comic template. I enjoy the fantasy world that I get to visit from time to time watching the latest Capt. America or Ant Man movies. It is a bonding time between the child and I, something we can relate to with each other and talk about. We even get to bring the adventures home via video games from time to time which is also super sweet. To me this is what the world feels like, a land of super heroes all around us all the time. When the child and I attended the NEO Comic Con I was on a mission. I wanted to track down different bearded individuals and see who their favorite "bearded" or "mustached" comic heroes were. I also wanted to talk to some artists and designers to see about their projects. We had a great time meeting some great people and learning about some interesting and cool things we normally wouldn't. 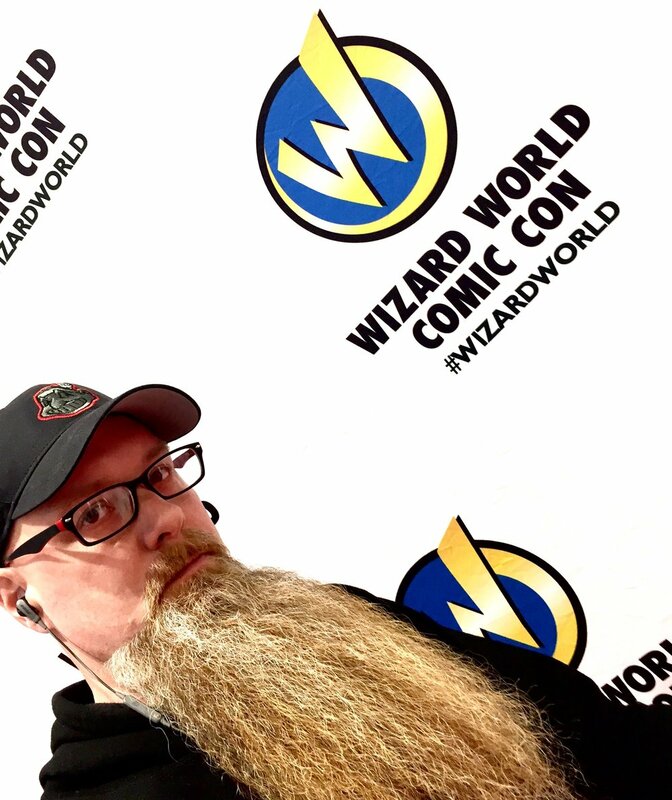 We met a bunch of nice bearded fellas who took time out to share their thoughts on some different characters found in the comic/movie worlds. 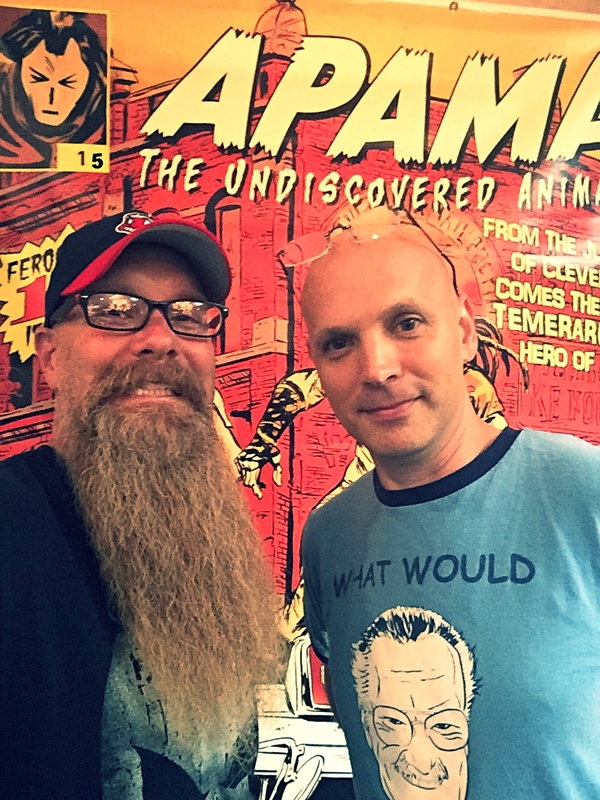 I also talked to Ted Sikora who is a director and writer of a comic called APAMA. I also talked with Frank James Bailey, voice actor and writer of TERCONA. Neither men had any facial hair but I didn't care! They both had some great stories about what they do and also talked about some of their ideas who the great "bearded" or "mustached" characters in comics were. Take a listen to the podcast to hear from everyone that I spoke to at NEO Comicon. Below are links to all the cool things I want you to check out that are discussed in the interviews in the podcast. I appreciate your support and please share with your friends!! !